NIZAM PLAYS | …Games and anything Good enough to post..
Having played the app since a month ago, I finally set down to write this review. 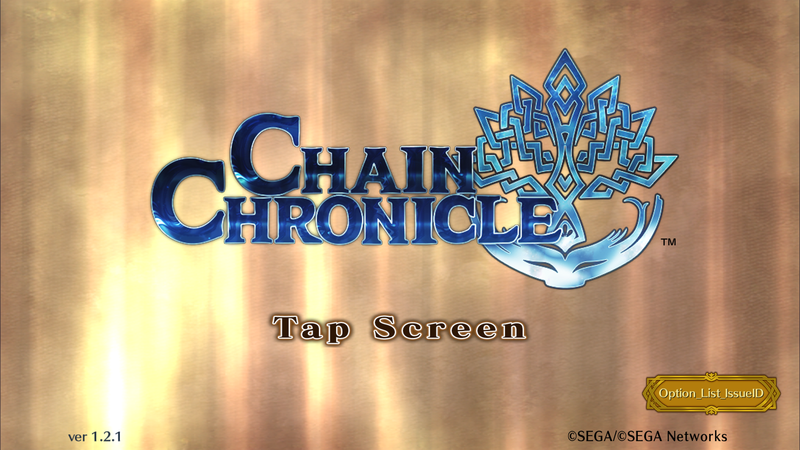 During the initial minutes of play, Chain Chronicle seems like those other games you’ve seen or played. 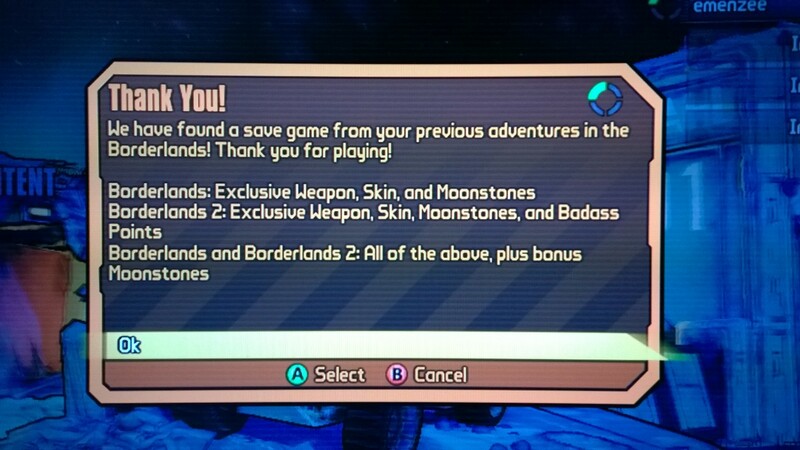 Before you consider dismissing the game, spend a little more time on the story missions. There’s limited routes in the beginning, but more paths are unlocked as you progress. 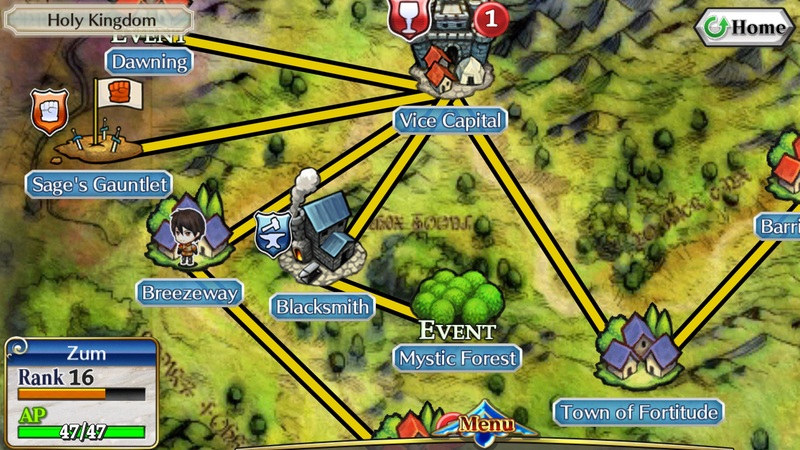 New events and challenges are constantly introduced from time to time. I remember one where you’re encouraged to form a team of Knights. This causes you to review your strategy and forces you to mix up your seasoned and new characters. 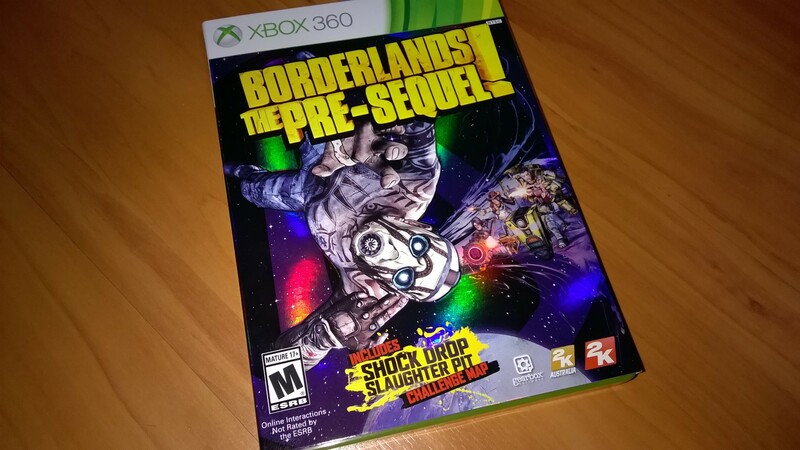 The dialog between the unlocked characters developed my interest in the game as the plot drove me to explore new locations and paths, and meet new characters. 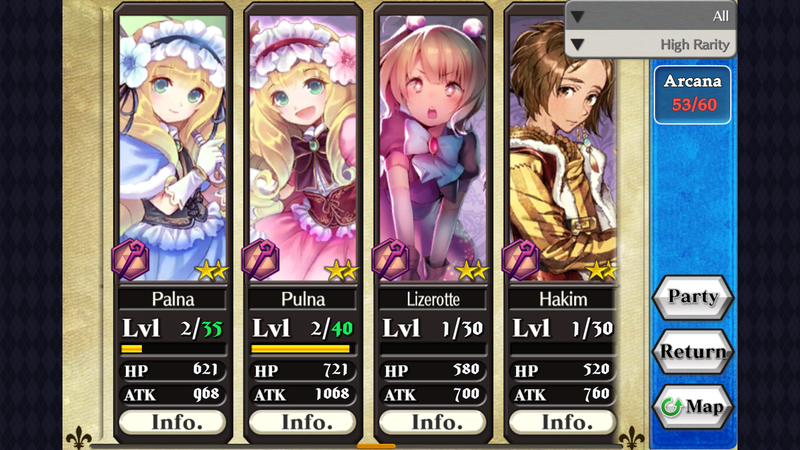 I’m immediately attracted to the characters from their artwork. Most of them are very well hand drawn, with a certain flair adopted for some groups. 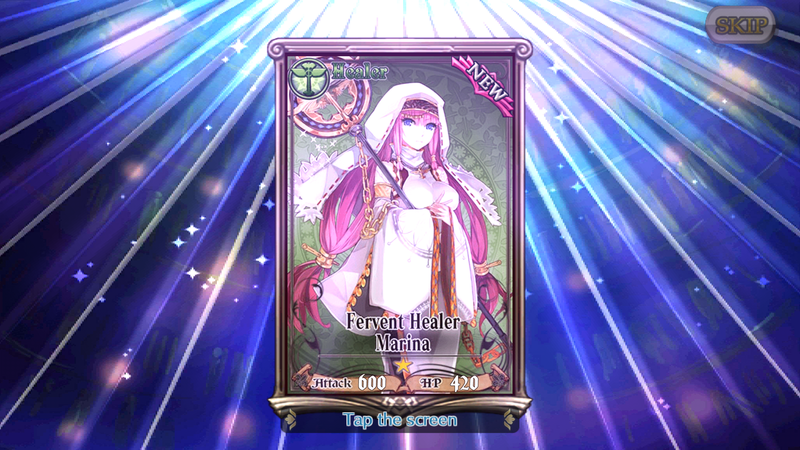 I guess this is meant to invite the players to conjure various personality into the different characters. 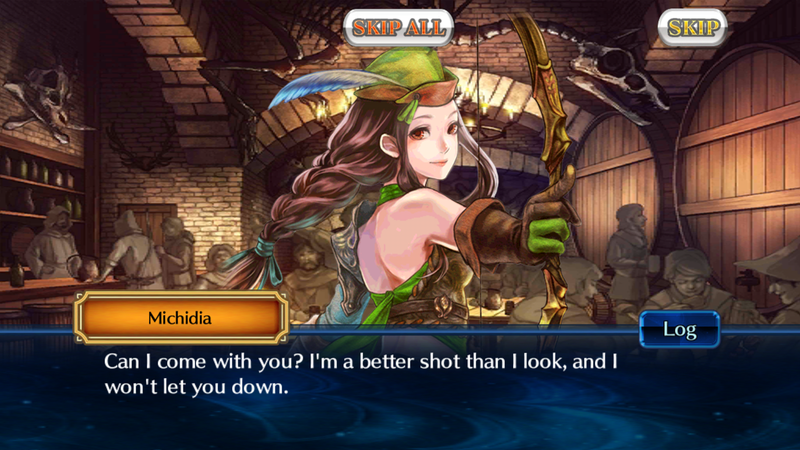 You will meet warriors, archers, knights, mages, soldiers, peasants and some that’s out of this world. 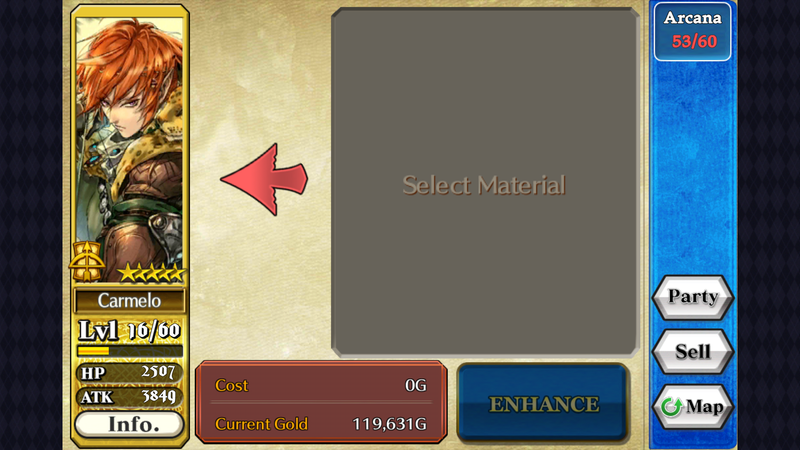 The border colours also indicate the level of rarity of the card. As you discover new and better characters, you may shift your focus on the new character so as to unlock its maximum potential. This is where it gets interesting and nitpicking for me. Often, I had to rank my choices according to rarity level, artwork and special skills of the character. 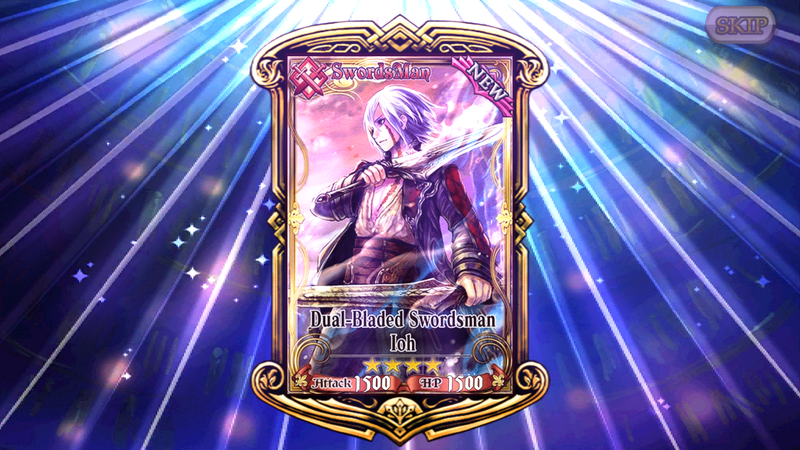 Being a long-time fan of collectible card games, this process never fail to intrigue me, and I would constantly revising my party depending on their performance upon unlocking new characters or obtaining new enhancement cards. 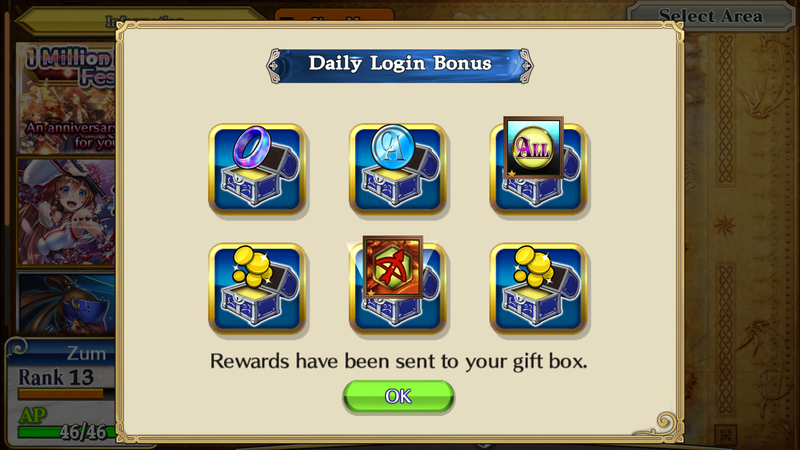 The game rewards you for logging in daily. 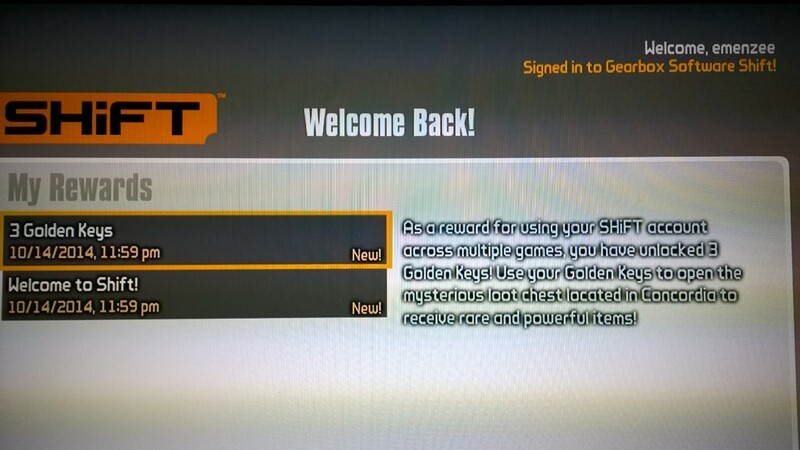 Choose from six chests and find out what you had …..as well as could have uncover. 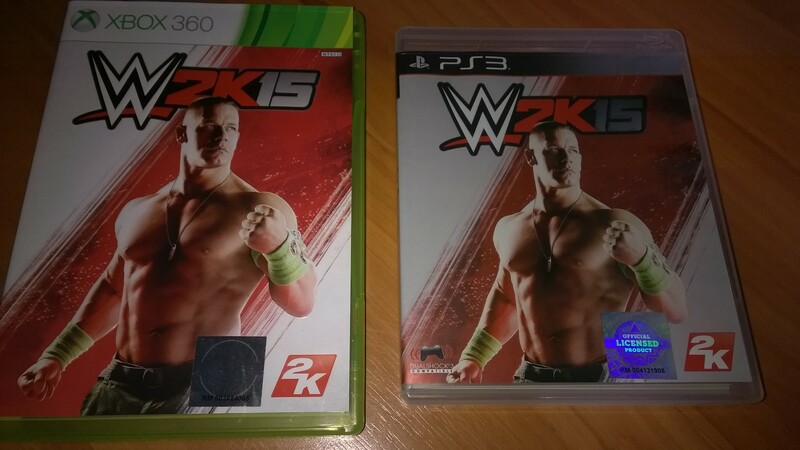 The images for each character do not change, and there is no animation, albeit some light effects and transitions. 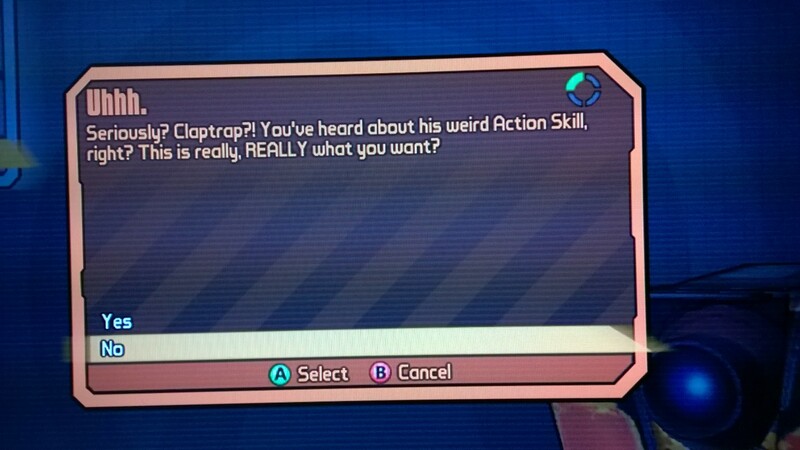 Some dialogue scripts sounds cheesy, but it’s up to the player to imagine each character’s personality. 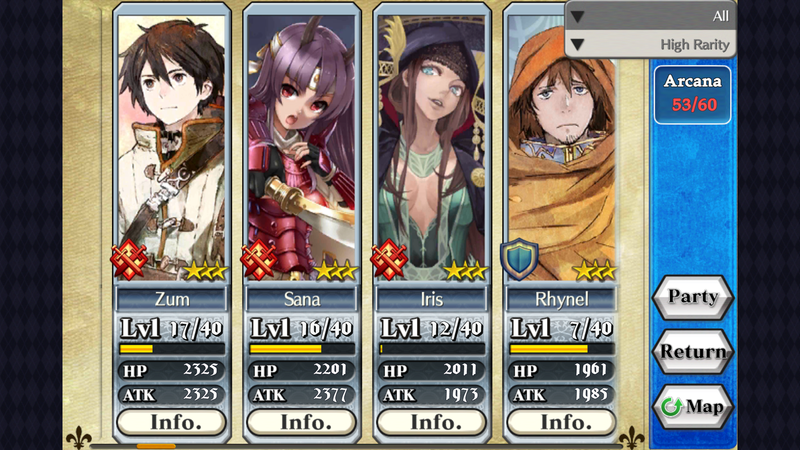 The trick to levelling up fast in Chain Chronicle is to constantly enhance your best characters with unlocked upgrades. The better they are, the more efficient they become during battles, hence the higher the chance to reap more and better rewards. 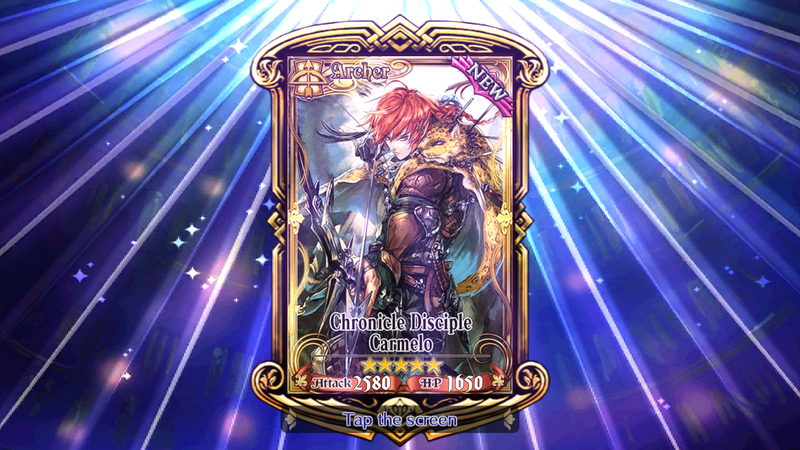 Chain Chronicle is addictive and having developed an interest in the game after 3 weeks of play, I decided to reward myself with one of the Prysma packs on special offer, worth s$18. 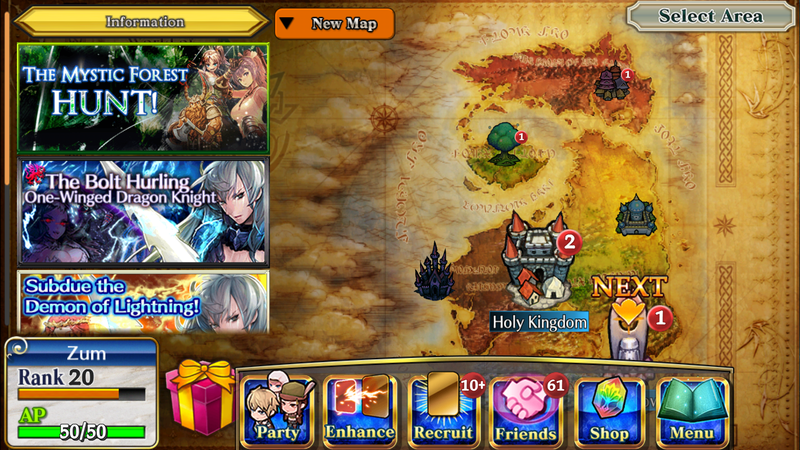 Game requires data connection and is suitable for squeezing some serious fights while commuting, especially when more train stations are equipped with Singtel Wifi. You’ve probably played many types of resource management simulation games on your desktop or mobile devices. 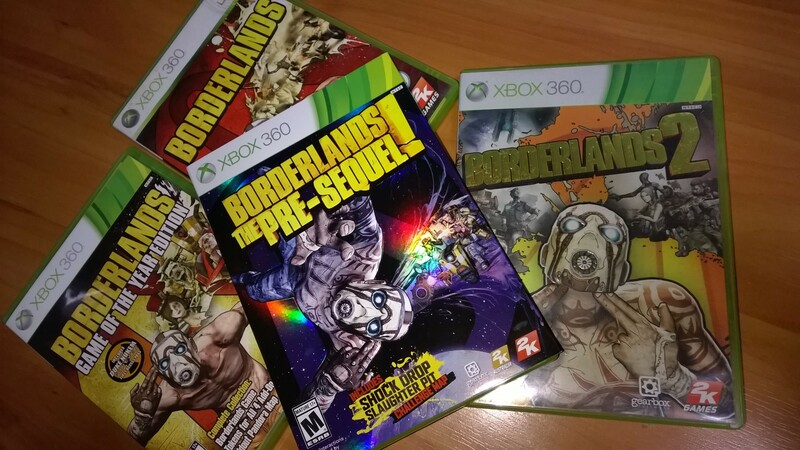 The premise of these titles are usually standard – free to play with multiple objectives and tasks, challenged within a build queue that requires diligent management. Monetised add-ons are available to those who opt for speedier progress. 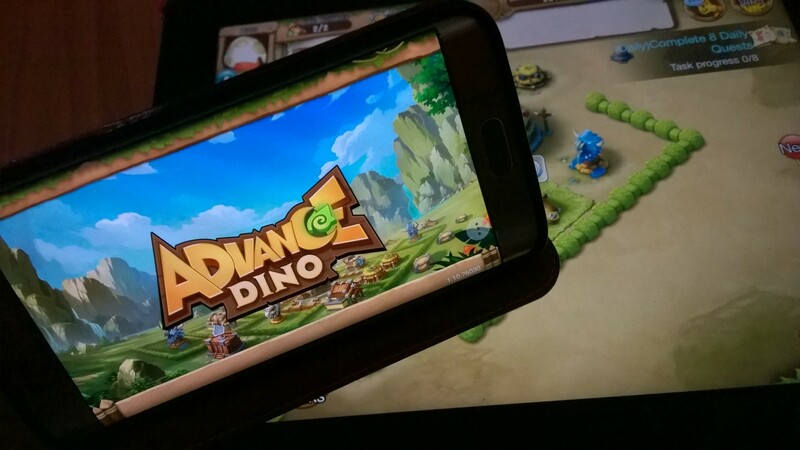 Advance Dino is one such game, currently available on iOS and Android. 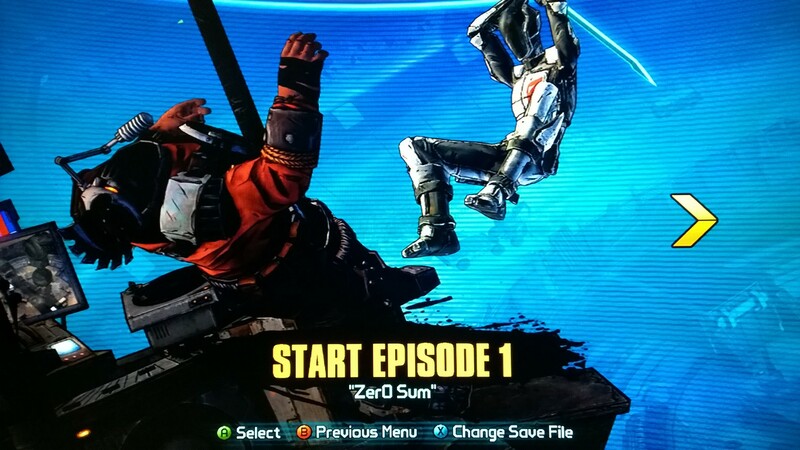 While concise, there is quite a lot to absorb for the beginner during the initial walkthrough. If you’re new to such games, I recommend taking your time interacting on the screen. They may appear overwhelming at first but players should pick up the game mechanics eventually. The art of Advance Dino should appeal to a wider audience. On one hand, the light colour treatment of the setting and characters promotes a casual atmosphere, but the cute art style and names of dinosaurs may not sit well with adult players. The creators seems to anticipate this and while players cannot control the look and colours of these prehistoric creatures, there is an option to change their names anytime. Along with a kiddish-sounding background music, this fancy approach seems unsuitable for someone in the late 30s. However, having played for a couple of hours, I was more invested in the strategy elements and am no longer bothered with the visual and sound effects. Having played resource management games that restricts to as low as one worker/builder at a time, I’m pleased to discover that such penalty is not present in Advance Dino. 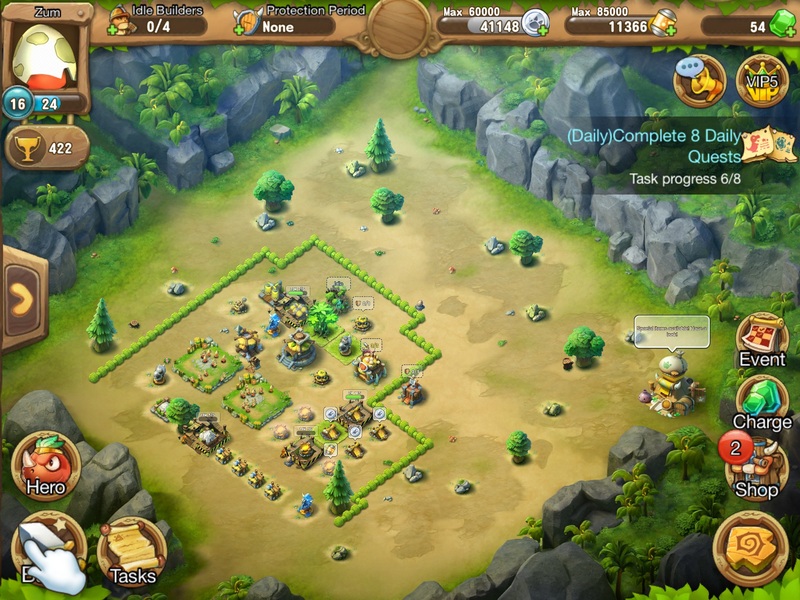 As long as you can build more huts, more builders will be at your disposal. To me, the challenge in this game is to ensure that resource-generation is not halted in any way. Sometimes, I ran out of storage for my currency and solar energy, while in another, I couldn’t get my resources flowing fast enough for respective upgrades. It’s a slight but welcome twist. I started playing on iPad 3 before downloading the Android version on a newly launched Samsung Galaxy S6 Edge. Unlike another resource management game I played, Advance Dino does not allow me to link my progress to another/new device. 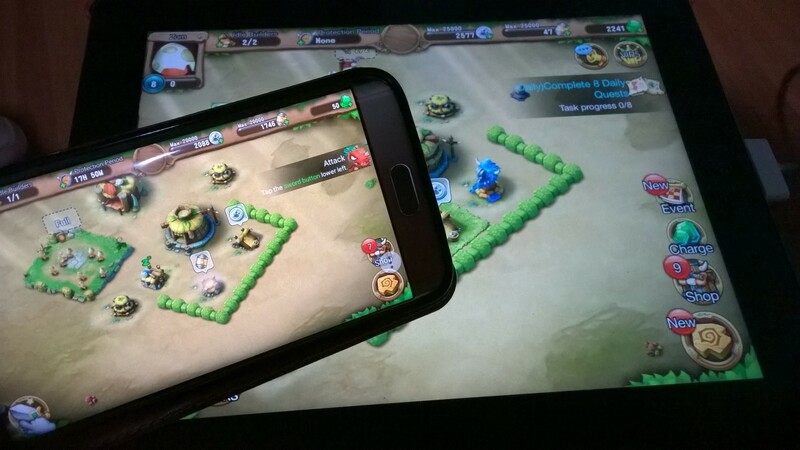 So if you have played it substantially on one handset/tablet, it’s best to stick to the original device. 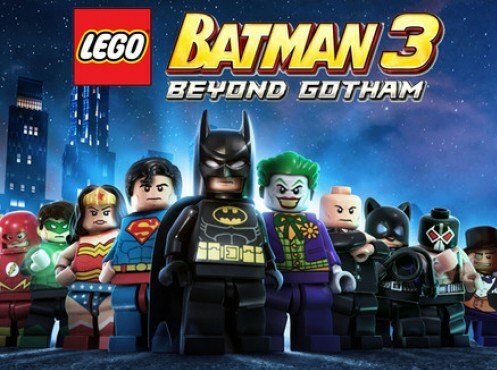 Personally, I find it better playing on the iPad3. Advance Dino can be pretty overwhelming with all it’s notifications and popups, and these texts appear very tiny on the Samsung S6 Edge. Some popups do not come along with a background filter and those made reading them much harder on a smaller screen. If you don’t mind squinting and bringing the device close to your face (make sure you play in a brightly lit area), Advance Dino looks more lively on the newer Android device, compared to the 3-year old iPad. 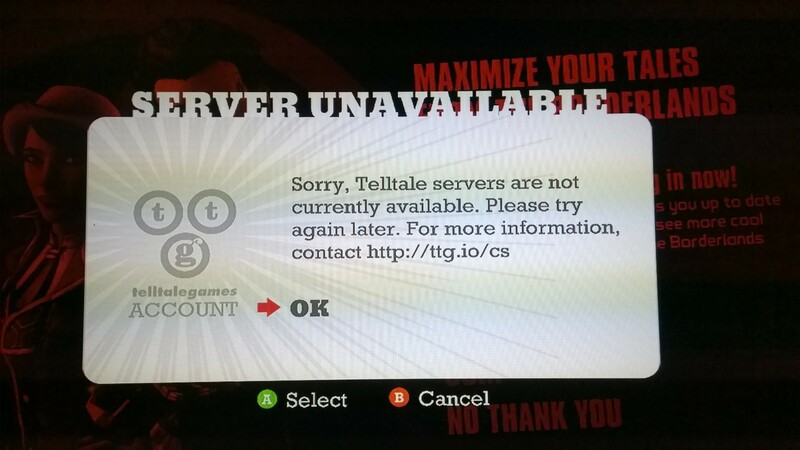 Nevertheless, rest assured that the game still runs smoothly. On a larger screen (in this case the iPad 3 that i’m playing on), Advance Dino is great to play but a bigger screen allows you to spot some design flaws. For example the chat notifications are always truncated even though there appears to be adequate display space. As your characters take on more battles and upgrade their skills, new avenues are unlocked. You can choose to scout more new characters, raid dungeons, engage in clan wars, find new opponents or take on various adventures/challenges. This is typical in many other similar games. I’m pleased to discover i can set the notifications according to Language, Land and Global options, and it seems choosing Language helps to filter unwanted chatter that I wouldn’t be able to comprehend anyway. At this juncture, there’s still a lot more for me to discover. After a couple of days, Advance Dino’s appeal indeed starts to grow, and every time I launch the game, it feels like playing an interactive cartoon episode. Being a social game that consistently refreshes for live updates, it’s good to be mindful about data charges. One of the in-game transition screens even candidly recommends having a good internet connection in order to become a successful Dino chief! I recommend strongly heeding that advice. Look for me (Zum) in the game! 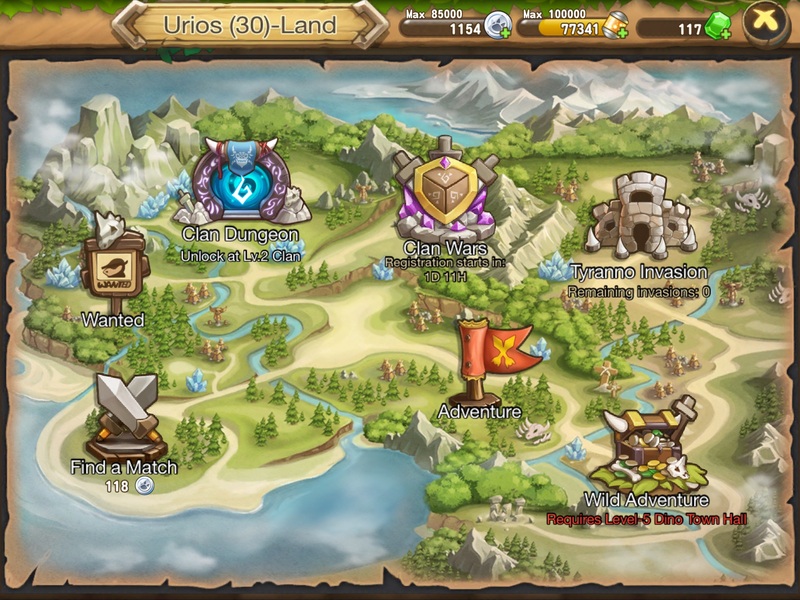 Check out the game by 10 May 2015 for special rewards! How? Share/Retweet/Reblog this post with hashtag #advancedino to receive giveaway codes. Giveaway items are kindly sponsored by AsiaSoft SEA. Pu3 Restaurant : Improve your hearty meal experience with these tips! As we usher the dawn of SG50 (Singapore turns 50 this year, we celebrate one of Singaporean’s favourite pastime – eating out! 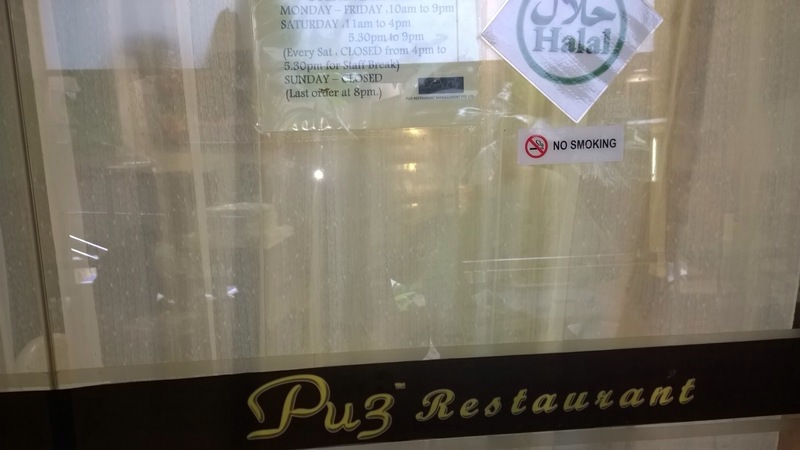 My brother recommended visiting a new eating establishment at Bencooleen Street – Pu3. 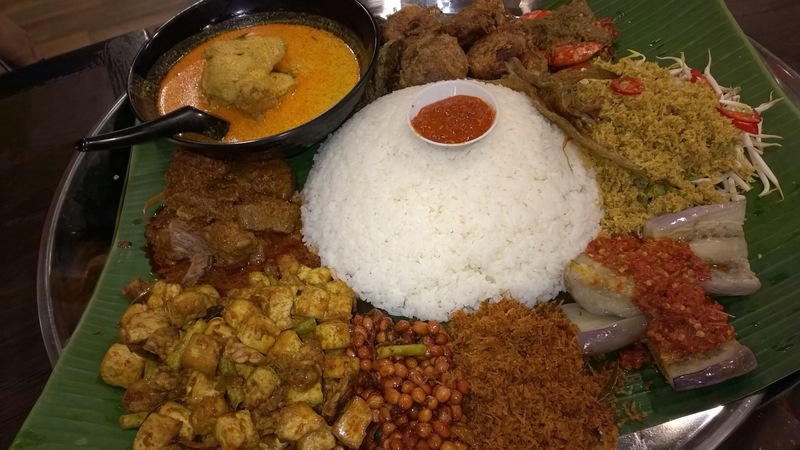 Pronounced as ‘Putri’ (Poo-Three), which means ‘Princess’ in Malay, it offers a selection of Indo-Malay cuisine and dishes, and is famous for its Nasi Ambeng. This is essentially white rice placed in the middle of a huge round tray, surrounded by various dishes. Some landmark items are chicken, salted fish, fried coconut flesh and lemak gravy. At Pu3 restaurant, there were sambal prawns, beef rendang, sambal goreng, urap, begedil, paru and sambal belachan. It is meant to be shared among four or five people per tray, and it’s best enjoyed eating with your hands. Not to worry, use of cutlery is also allowed. The beauty of sharing various dishes in a large tray is it promotes camaraderie between one another. Food portions are not always equal and easily divisible, therefore inculcating a feeling of ‘give and take’, especially among the young ones. This is valuable in enhancing the spirit of community building and understanding among one another. I have a family member on wheelchair and it’s good to know that while the place is overlooking major roadworks, the place is still accessible. If you’re driving, there’s a multi storey car park linked to Somerset Hotel. Those taking cab can alight at Prinsep Link. However, the layout of Pu3 Restaurant is small and with all the tables and chairs arranged to accommodate as many patrons, it does not facilitate for wheelchairs. On New Year’s Day, we were lucky to have a table at a corner near the steps, where there was less human traffic. But the way to the restroom is narrow for the wheelchair, being flanked by two tables. When there are patrons at the two tables, it becomes squeeze even for a walking person to head to the wash basin, situated next to the unisex restroom. You only probably need the wash basin at the end of the meal, because each table has its own water pot and tray to clean the hands before eating. Another downside to the restroom: you need to take tiny steps down, much like those in a kampong. Clever design, but not practical for an old family member of mine. 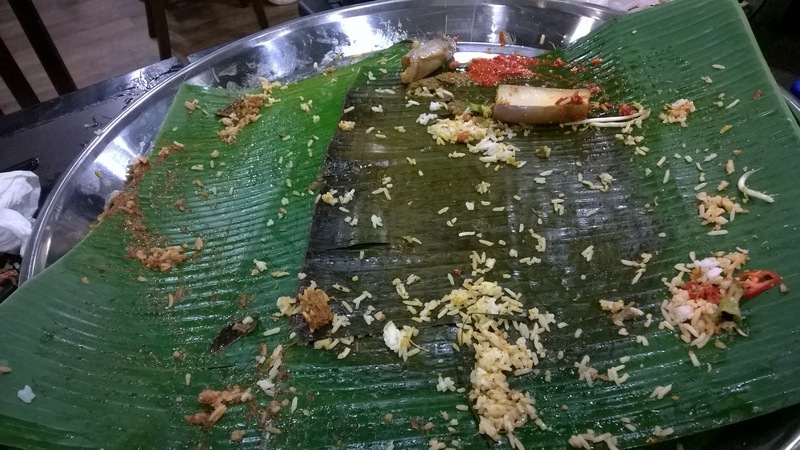 While enjoying the hearty Nasi Ambeng with your hands, expect your fingers and mouth to get messy. It’s part of the experience. But the restaurant do not provide serviettes or tissue. I used to work nearby at Sunshine Plaza, so I know of a friendly Indian convenience store. It’s about 2 minutes away from restaurant. A box of tissue costs $3 while a small pack of wet wipes cost $1.20. Getting them is wise. Next to the restaurant is Somerset Hotel, and I asked the concierge about accessing the washroom for a wheelchair-bound family member. The counter staff politely directed me to the public toilet outside, just beside the lift leading to the car park. 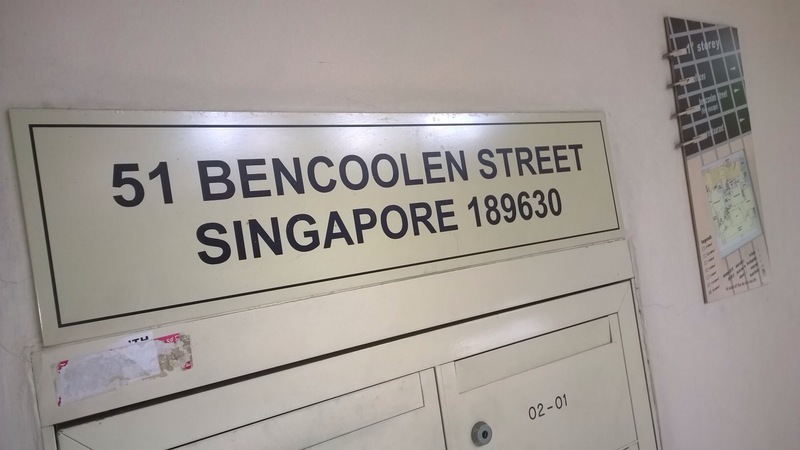 She said it belongs to the Bencoolen mosque. 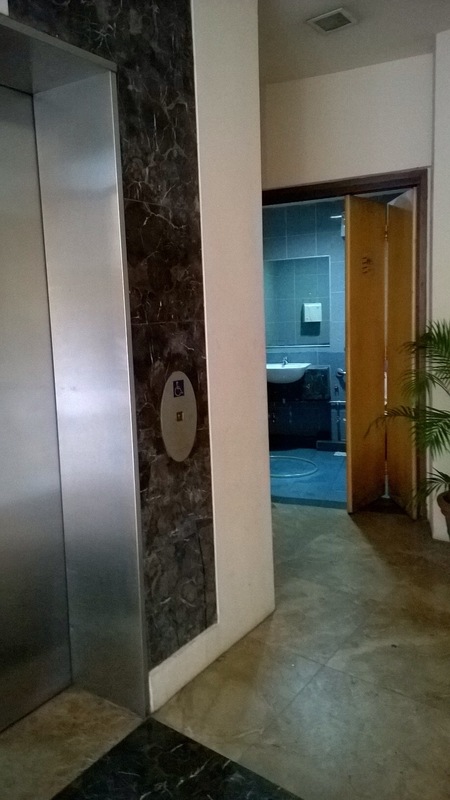 I was pleased to find out that the toilet is spacious and accessible to wheelchairs. It’s not five star quality but it’s much more convenient for my mum.